This site is always a work in progress. Hope you visit often. 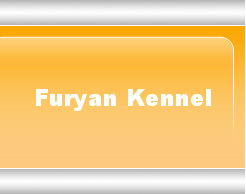 Welcome to Furyan Kennels- Lovingly Nurturing Rottweilers since 1994. You might be wondering where the name comes from. I had been trying to give my kennel a unique name and was having the hardest time thinking of one and then deciding on what I had thought of. "Furyan" comes from the movie "The Chronicles of Riddick" (and Pitch Black). The main character is Richard B. Riddick. His race is Furian and they come from the planet Furya. The Furians are a race of fierce soldiers who are neither motivated by money nor power, but by their innate hatred of authority: they are free-spirited rebels gifted with impressive physical skills. Well, I like it and am proud of the name as well as my dogs. I hope you will feel the same when you have the opportunity to experience one of them. Please feel free to leave your comments on our Guestbook or send us an email located on the CONTACT US page . You can be kept up to date on Facebook. Go to the CONTACT US page and click on the link. Please come back soon to see the new changes.